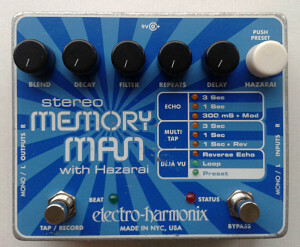 Electro Harmonix XO Stereo Memory Man with Hazarai. Made in new york in early 10’s. Got this unit used with a defunct tag in a trade. I was sort of skeptical as most of the modern EHXs are just plain dead and there is very little that can be done. But i went for it anyway, out of curiosity. Pedal was and is in decent condition with a few marks of use. Since the old school lab supply on my desk can only put out 100mA i figured this wouldn’t the one to be tested on that supply. 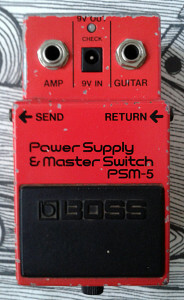 After checking the manual, i set up one of my old power supplies with 500mA output and tried the pedal out. Nothing. No sign of life. Oh well. These things can happen and some trades leave me on the win anyway, so getting one brick isn’t going make much of a difference. Still i wasn’t convinced. 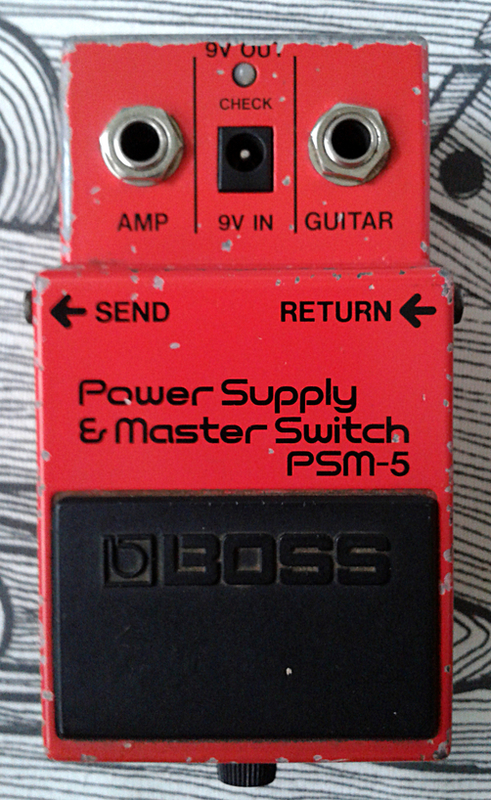 I took out my modern favourite power supply that can put out 1A if needed and tried again. Took the pedal about 20 seconds to perform its power on self tests, but this time everything seemed to be running smoothly. I do recall running into similar issues with other all digital designs. If the circuit is fed with too low current, things can get weird. Seemed like the case with this one. 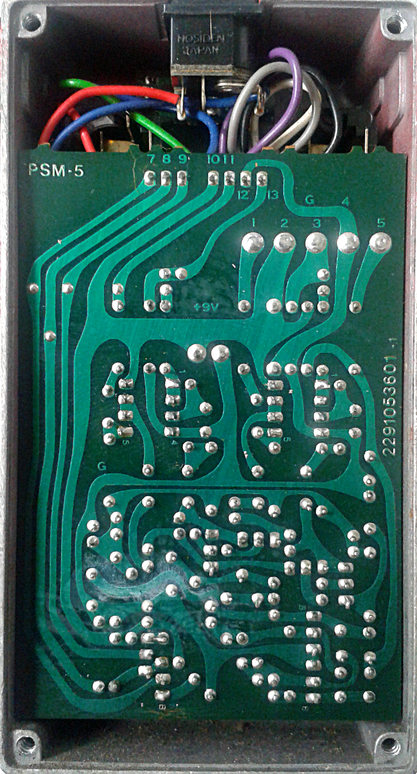 My guess is that someone had used low current supply and this has caused the digital circuitry to act in an undesired manner. Others could still think that the unit is broken and i’m not disputing that. 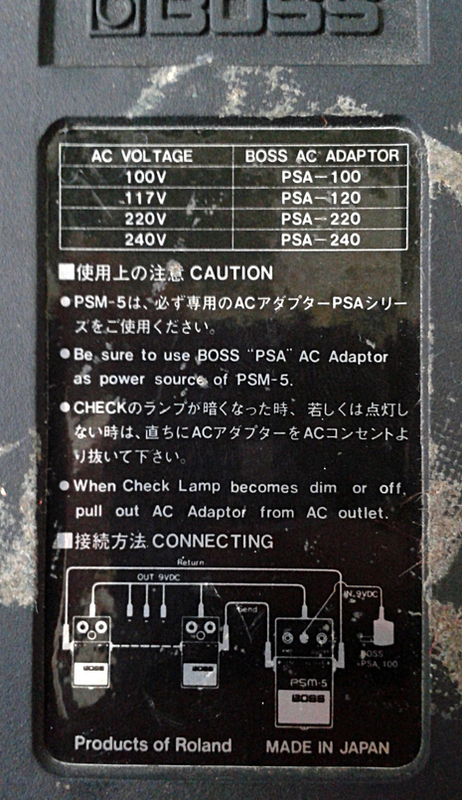 It’ll work just fine if it has a power supply that’s capable of satisfying its needs. The damage has been done and it’s not getting any younger. But it works. 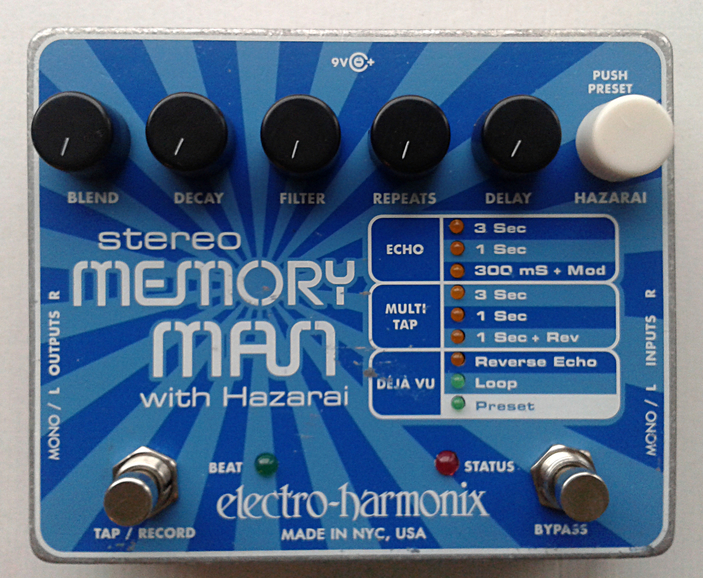 As the photos show, there is very little us lumberjack-style effect enthusiast can do if the pedal is really dead. This is partially a sad thing as the people qualified to repair these things are scarce when compared to old through hole manufacturing methods. Meaning that there will number of units that will get trashed due to not being cheap or viable enough to repair when something goes wrong. One of the biggest culprits of modern times. Unsustainability. 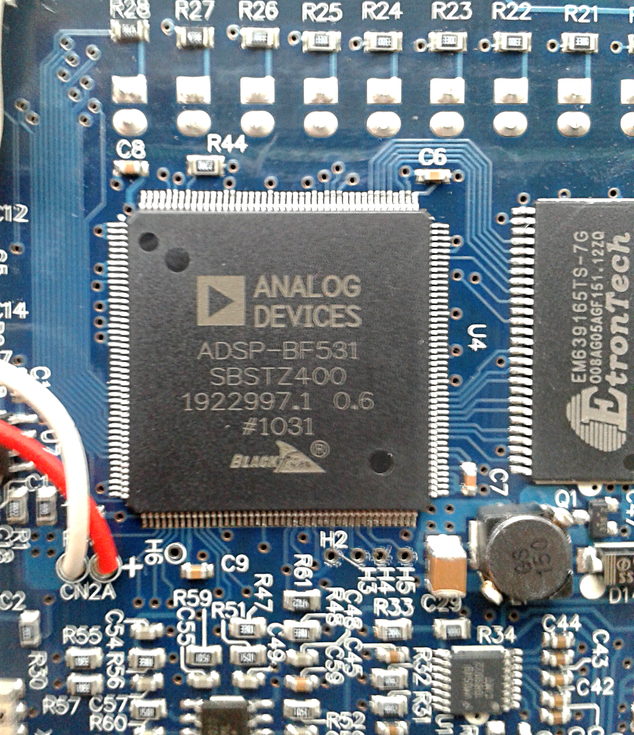 In heart of it all lies an digital signal processor manufactured by Analog Devices. Yup. I’d call that an oxymoron. 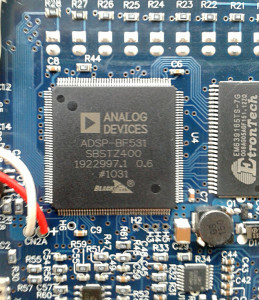 Although AD chips and processors are top notch and those tend to be used for many audio applications. 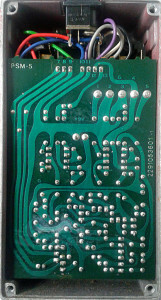 This design is all digital and size of the chip tells us that it’ll beat your Commodore 64 in a heartbeat. Next up i was to try the unit out, now that it was working. 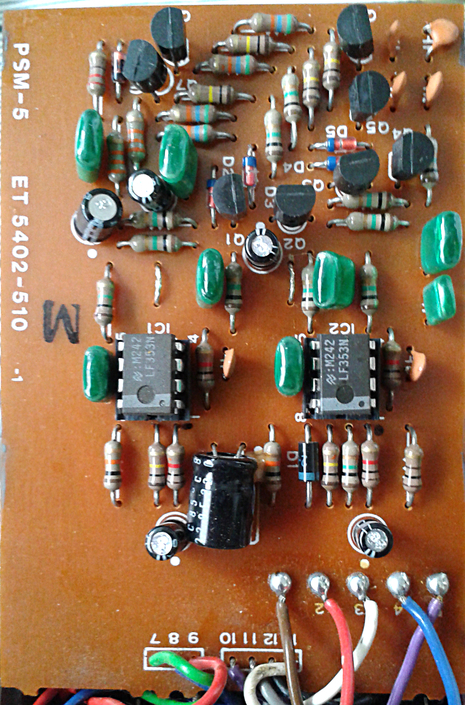 Five pots with a digital rotary switch and two stomps. Unit can be used as a standard delay, but that will leave a load of features out. We have our multi tap and reverse delays in addition to the expected ones. The looper function is in there too. I must admit i had to search for a user maual to get any real testing out of it. If you want an overview of the features, i suggest you do the same. It would take me quite a time to explain everything, so let’s just get on with it. Pristine. 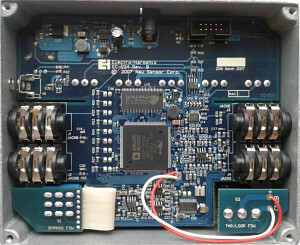 Designed in a manner that the unit could be usable with synths and organs as well as with guitars. 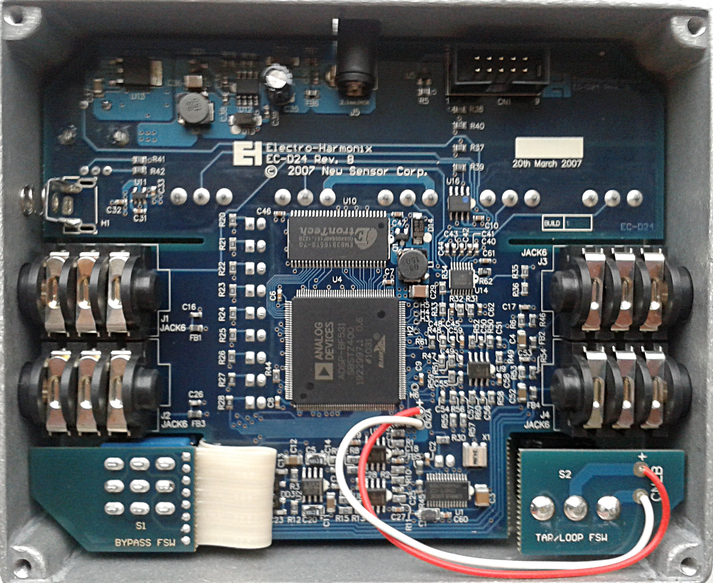 Frequency responce doesn’t discriminate and the buffering at the beginning of the signal path doesn’t care wether you push it hard or with vintage guitar pickups. One could truly earn a cape of a wizard if one was to learn every feature and use them in a live set. Good clean tones and repeats are well controlled. 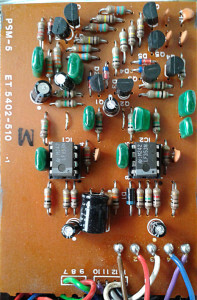 This truly isn’t your average delay and i believe the designer has done his/her work by chasing the features that are not found on every single delay unit out there. Sound good and works fine with suitable power supply. Some of the features still elope me, but that’s just me. You should try one out to see if you like it. For me, i’m a lumberjack. Entries (RSS) and Comments (RSS). 34 queries in 0.101 seconds.